Notepad++ is a free source code editor (and Notepad replacement) for Microsoft Windows environment. based on the powerful editing component Scintilla, Notepad++ is written in C++ and uses pure Win32 API and STL which ensures a higher execution speed and smaller program size. The project's name comes from the C increment operator. Notepad++ features syntax highlighting, code folding and limited autocompletion for programming, scripting, and markup languages, but not intelligent code completion or syntax checking. As such it may properly highlight code written in a supported schema but whether that code is a working masterpiece or pure junk is not verifiable. It also supports tabbed editing, which allows working with multiple open files in a single window. Notepad++ was developed by Don Ho in September 2003. The developer used JEXT (a Java-based text editor) at his company but, dissatisfied with its poor performance, he began to develop a text editor written in C++ with Scintilla. He developed it in his spare time since the idea was rejected by his company. 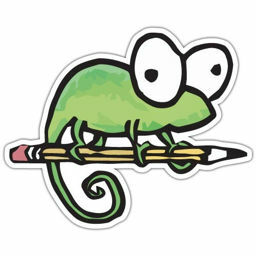 Notepad++ was built as a Microsoft Windows application; the author considered, but rejected, using wxWidgets to port it to the Mac OS X and Unix platforms. Notepad++ has support for macros and plugins, and has been marked for its robust plugin architecture which enabled various new features to be integrated into the program. Currently, over 140 compatible plugins are developed for Notepad++, 10 of which are included by default in the program. The first plugin to be included in the program was "TextFX", which includes W3C validation for HTML and CSS, text sorting, character case alteration and quote handling. Disclaimer: Direct downloads for the lastest version of Notepad++ 7.5.6 are provided by the official software's author, we can't guarantee safety, availability or download speed. Moreover, we don't and we won't provide any pirated/illegal versions or tools. We recommend you to avoid it as these methods can harm your device. If you like the software, buy it to support the developers. (We provide software discounts for many worldwide brands).